Al realizar esta compra puedes obtener hasta 220 Puntos equivalentes a 2.2 €. Su carro de compras totalizará 220 puntos que se puede canjear por un cupón de descuento de 2,20 €. 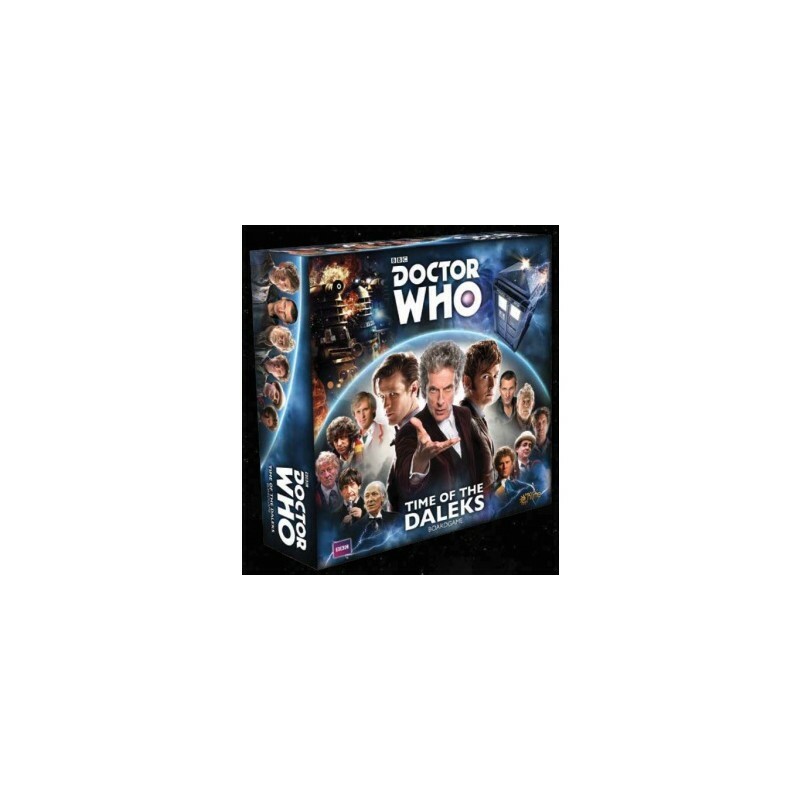 Have you ever wanted to be the Doctor, traveling through time and space, meeting companions and having adventures? 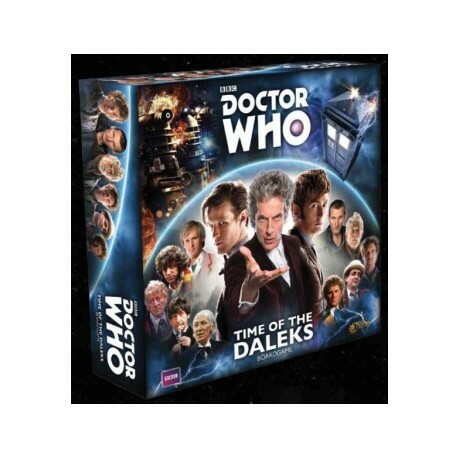 Doctor Who—Time of the Daleks is a semi co‑operative boardgame where you become one of six regenerations of the Doctor, traveling through time and space prevent the Daleks from erasing the Doctor from time and taking over the universe. 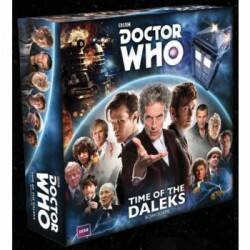 In Doctor Who: Time of the Daleks, players will take the role of the Doctor. You’ll get into your Tardis and travel through space and time. Find and join up with Companions who will help you overcome challenges to repair the web of time. All of the Doctors are working together, as you want to keep the Daleks from taking over. However, only one of you can be the first one to get your TARDIS to Gallifrey and prevent Davros from completing his master plan.